Arbitrage betting is also referred to as miracle betting, sure betting or sports arbitrage. It is a particular kind of arbitrage that occurs in betting markets when there is a difference of opinion among bookmakers or just a straight out error. It is a kind of betting that allows the bettor to ensure a profit regardless of the outcome of the event. Successfully employing this system (called arbing for short) will yield a small amount of money with zero risk. It is more successful when there are fewer possible outcomes; as such, most types of sports betting (especially those which do not allow for a draw) are ideal for arbitrage betting. In bettor slang arbitrage betting is often abbreviated to arb or arbs, those whom practice arbitrage betting are known colloquially as arbers. As of writing this article it is the most comprehensive arbritrage betting article you will find. So it has been broken down into the following sub sections. If you know the basics behind arbitrage betting you may want to skip a few sections, but I assure you that even a seasoned arber will find new and interesting information here. This method of betting is completely legal, though it is often frowned upon by bookmakers. In fact, other than Pinnacle, SBO and a few other Asian bookies, and of course the betting exchanges; all other bookies will shut you down if they believe you’re an arber. The action taken will normally come in one of two forms. Account closure or a lowering of your stake limits. And don’t think just because they only lower your limits that your welcome at that bookmaker, no, you’re not. They lower your limits to use you as a cheap marker, once they see you having a bet (in which they will lose pennies) they now know an arbitrage opportunity is available. They can then revaluate their odds and look into other punters that took the same bet. If this isn’t the first online article you’ve read about arbitrage betting you’ve most likely come across the myth “Sportsbooks aren’t against arbitrage betting and they create arbitrage opportunities because they need to balance their book”. This is nonsense. Bookies except they are going to win big on some outcomes and lose on others, thats why you’ll see them cheer on the under dog or the draw. They are in this game for the long haul and understand that as long as they are getting value out of laying a bet, once variance evens itself out, they will be the ones with a pot of gold. Laying arbs will eat into long term profits, just for short term stability. So no; bookmakers don’t offer arbs to balance their books. They offer arbs because the betting market isn’t stable enough to gauge the correct price or because a market moves or trader error and sometimes because they have an opinion that goes against the market price. But even then they will only go one or two ticks above top price. In general if a bookie doesn’t like the way his book looks (which would normally mean a much higher liability then they are used to) then their first step will be to go bottom price on that selection in the hope the other selections will attract more bets. If that doesn’t work and they still need to lessen the liability this will be done by hedging with another bookie. Arbers are seen as low lives and the last thing they want is to attract more of them and to offer up value to them. So in short, is arbitrage betting legal? Yes, but you’ll be hunted down by the bookies as if you’re breaking the law. Then you’ll have your account closed or restricted. From a theoretical standpoint, arbitrage betting is flawless and guarantees a profit with each bet – assuming certain conditions are met. The process relies on the fact that bookmakers in sports often disagree on the odds of a game’s outcome, since many factors come into play (unlike casino betting, where everything theoretically has a fixed probability). By placing a bet with the right book percentage, the bettor is guaranteed a profit. Betting on every available outcome, with a single bookie, will yield a negative return on investment. Due to the very nature of calculating odds, this is inevitable. However, if the difference in odds between two bookmakers is great enough, one can successfully place arbitrage bets with two different parties. You’ll see average arb opportunity percentage bandied about in other articles, telling you that most arbitrage opportunities average 2-10% profit. Not sure why this is, because I have found a vast number of arbs are available in the less than 2% range. The higher an arb goes above the 2% range the more likely it is that you are going to bet with unreputable bookmakers and or have your bet voided due to a palpable error. No reputable bookmaker will palp a bet for being out of line, but I have seen it with some of the lesser known bookies. Being an arbitrageur has been made much easier in recent years with the advent of comparative odds websites, Internet tracking and various different betting exchanges. Though this technological leeway is a double edged sword in most circumstances, for these same technological tools allow bookmakers to more easily uncover instances of arbitrage betting and eliminate them. This is accomplished through keeping their (the bookmaker’s) odds in line with competitors across all betting markets, since arbitrage bettors are essentially creating their own book through this practice. Free arbitrage sites – A good few of these sites are about, they basically take out the hard work of having to look for arbs yourself. The main problem with these sites is finding one the updates fast enough, has the bookmakers and betting exchanges you use and offers more than the main full time match result market. Odds portal offers a nice free arb section that has a few extra bet types. Paid arbitrage software – With a good number of free arbs sites around I don’t really see the need for paying for one, but if you think that’s the option for you then oddsmonkey look like they offer a good few extras. Email alerts, integrated calculator and mobile site to name a few. Another service that seems to get good reviews is Rebel Betting. Arbitrage Calculators – This will be covered more in the next section, but a good arbitrage calculator is a must if you are serious about arbing, because with prices moving so fast doing the math’s yourself will result in missing some opportunities. Risk management team – Yes that’s right, all good bookmakers will have a team of people dedicated to manage risk. One of the tools at their disposal will be a bet ticker (a page the shows every new bet that is placed). At least one member of the risk team will always be watching this and any unusual activity will be flagged up (a furry of bets on an obscure market or lower level competition for example). Normally other information such as the punters username will also be visible on the ticker, and each person will have been assigned to a betting category (a number, letter or more commonly a colour), this makes it easy for the risk team to identify problems. For example, let’s say a category for arbers has been set as yellow. Now when the risk team see a flash of yellow on the ticker they will be pretty sure something is wrong. Now all they have to do is see what the bet is, and if it is an arb, re-categories all other punter that got on the bet as potential arbers and cut their max bet. Affiliates – Bookmakers also have a vast majority of the punter tools and websites as affiliates, and can therefore track which site is sending poor quality customers (in terms of profit made per customer) and keep a close eye on them. Betradar – Acts as an advanced odds comparison tool, and more, but open strictly to bookmakers. Betradar is signed up to by all the major players and a large number of the smaller ones. Here bookmakers can see other bookies odds before going live with their own, and also get email alerts when they are out of line with the general consensus. They can limit the bookies their odds are compared to, tracking just one or two companies and be alerted once odds have moved and they haven’t. An arb section is also on the site, but this just informs bookies of arbs involving their odds. Iovation – This tools is firstly a fraud prevention tool, but works closely with many online betting sites. Here bookies will share information about unwanted customers and as the Iovation website proudly states, this also prevents Arbitrage betting. Asian monitor – A service that compares a bookies European style markets to that of the Asian markets (Match result compared to Asian handicaps). Generally an odds movement will happen first with Asian bookies, these bookmakers normally except money from betting syndicates and professional punters. They also generally work to lower margins, with Asian handicaps being a 2-way market compared to the 3-way match result helps with this. For these reason market corrections are going to be seen here first, and if a bookmakers see this they can be sure the European bookies and exchanges will not be long in following suit. So with Asian Monitor bookies can stay ahead of the game. Arbitrage is a process that happens very, very quickly, to stay on top of it and to make money from it one will need to be knowledgeable in the betting world, have lots of allotted preparation time, dedication, discipline as well as strong financial backing. As stated previously there are many different types of arbitrage betting and below we will go through some of the more common types. One should be aware that the formulas for the bets are often quite confusing so they shall be explained only in principle. Click through to our dedicated pages about the calculators if you want more information. This type of arbitrage betting involves taking vantage from various odds which are top price with different bookmakers. So, for example, say that there is a situation where there are only two possible outcomes, such as a tennis match, Player A wins or Player B wins, various bookmakers will favor one player over the other and with this being a two-way market odds will be set with a book margin of between 5-10 percent (sometimes for Grand Slams this could be even lower). Obviously, attempting to place bets on both players odds with the same bookmaker would be disastrous and guarantee a loss to the tune of the book percentage. However, if correctly placed across two bookies, a profit will be made regardless of the outcome. If two bookies favoured different players, one would split their funds between both bookmakers and both odds, such that they would generate not only profit, but also an ensured and predictable profit. Remember sports arbitrage betting is completely legal, so once your bet has been accepted and you haven’t got on a palpable error, you don’t have to worry about the result. Whichever player wins you will get the same amount of profit. Betting exchanges are an excellent opportunity for those whom wish to place an arbitrage bet since they offer one the ability to bet for or against any given outcome. The process of betting against an outcome is known as laying, or lay. It is, in principle, very much the same as multi back sports arbitrage betting which was previously discussed only this technique uses betting against as well as betting for an outcome to achieve arbitrage. And as with all arbs here you are looking to achieve a book percentage that’s in your favour. Think of it as if you are a stock trader, buy low and sell high. Back-lay arbing does bring in some extra issues. The main one is taking commission into account. As betting exchanges’ don’t make money from balancing a book, being peer to peer betting, they all must charge a commission on winning bets. This commission ranges from 2-5 percent, depending on which betting exchange you use and how much commission you have paid previously. This added complexity then becomes even trickier when backing and laying on two different exchanges rather than an exchange and a bookie. This is a method rarely used because of the limited number of betting exchanges and firms other than betfair having low liquidity. But just like you can arb backing multiple selections you can also do the same with lay bets. Obviously with a limited number of betting exchanges it’s best to look for arbing opportunities in two way betting markets. As with back-lay arbitrage you’ll also have commission to deal with so make sure you know what you have to pay at each of the exchanges. Recommended betting exchanges are betfair, Ladbrokes exchange (same as betdaq), WBX and Smarkets. To encourage sign-ups and future punting, many bookmakers will offer a first time deposit bonus. This bonus is usually between the ranges of ten to two hundred Pounds and is useful for bookies in attracting new customers. This type of arbitrage proceeds as usual, gathering up discrepant bets and betting a preset amount of money on the outcomes that will guarantee a profit (normally a free bet must be used in its entirety so make sure you have enough funds available in the other account you wish to arb with). Ideally when using bonus arbitrage betting you want to lose the money from the site you are getting the free bet from, the reasons for this will be discussed in a minute, but basically it’s to avoid conditions bookmakers place on free bets. There is another perk to bonus arbitrage betting and that lies in the fact that you don’t necessarily have to find an arb. As you are punting free money a small loss can be acceptable. 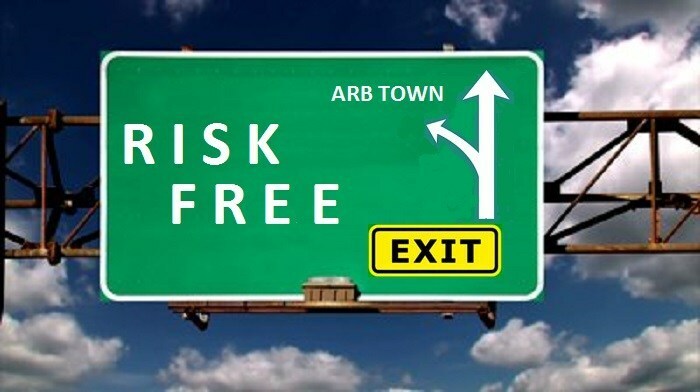 Meaning you don’t have to spend any time looking for out of line prices, all you have to do is go to a two-way market and you’ll be sure to find one of the set of odds will be close enough to the exchanges to arb with minor damage to the free bet. If you plan to arb across bookies a good way to do this is to play two free bet off against each other. All this sounds great but there is a catch with bonus arbitrage. Bookmakers’ learn fast, and originally what they called a free bet actually was just a free bet; in fact many bookies offered a no deposit free bet in the early days of online betting. 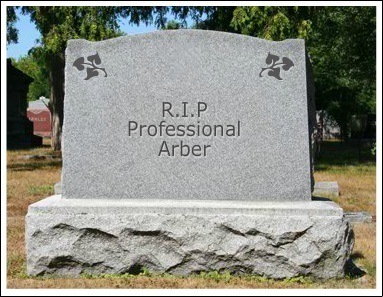 Unfortunately these golden days for arbers are behind us. You still might see the odd no deposit sign up bonus from time to time, betfred springs to mind here, but in general a free bet is given as a percentage of the amount you deposit and comes with terms and conditions. Mostly this comes in the way of any winning free bet having to be played through x amount of times. There is no industry standard so you’ll have to read the terms and conditions of every bookie you sign up for. Also watch out for bookies that only return the winnings of a “free bet” and not the stake, as this now makes arbing somewhat harder. Be aware that some firms attach time limits on how long you can take to use your free bet and play through the required turn over. Another common clause attached to your bonus bet is an odds level in which you can place the bet, this can be as high as an even money shot. There are two parts to successfully placing an arbitrage bet, firstly to work out if the book percentage will allow for a profitable arb, and secondly the stake amount that needs to be placed on each selection for an equal return no matter what the outcome (this stake amount can be altered if one decides to have more profit on one of the selections, but obviously there is only so much it can be altered before one portion of the arb risks a loss). Working out whether an arb is available – A different approach is needed depending on which method of arbing you are using. The easiest method to spot an arbitrage is the back-lay methods. Here all you need to do is see if the lay odds (with commission taken off) are shorter than the back odds. Because of how easy this is to spot most punters starting out arbitrage betting will use this system first. If using the multiple back method across several bookies, spotting an arb becomes a little trickier. Most arber keep to two-way markets and will have either a two-way chart (see a sample of a two-way chart below) or will have memorized the many odds couplets that will make an over broke book. Of course it isn’t efficient or recommend to have charts or memorise arbs once you are involving more than two selections. But fear not, there is a rather simple formula for calculating if arbing is an option. This is basically the addition of all the implied probabilities of your selections (you can also add the percentages together, whatever you find easier) and if the sum of this is less than 1 you have an arbitrage opportunity (best mention here that you must have all possible outcomes covered). For multiple lay arbitrage you do exactly the same, but here you are becoming a bookie. You are laying multiple bets in order to make a profitable book just like your favorite high street bookmaker. So now instead of looking for the sum of implied probabilities to be less than 1, you want it to be greater than 1. (Again remember you will have to take commission into account). Working out how much to stake is a bit beyond the scope of this article so please pop over to our back-lay calculator and Dutching calculator pages where you’ll also see arbitrage betting examples. When you first come across arbitrage betting you may have thought you’d found the betting Holy Grail, and in theory I guess it is. But you’ll soon learn in practice it isn’t that simple. Having accounts shut or limited, not finding enough arbs to make enough money and boredom now setting in. Well now you have a very good grounding in what it takes to be a professional punter it is time to add more strings to your bow. After all, the greater your skill set the better your chances of making some money. So what are the next steps arbitrageur’s normally make when moving on from basic arbitrage betting. Live arbing is the next logical step for a budding sports arbitrageur, lured in with the greater number of arbitrage opportunities and faster payout live games seem like a great new hunting ground, but don’t let this blind you from the added dangers live arbing brings. Here is a quick outline of the main pros and cons to live arbitrage betting. As already alluded to, in-play sports have a greater number of arbs, particularly right after a major incident like a red card or a goal being scored. This is because the live trader wants to get the betting markets reopened as soon as possible, and doesn’t have time to make sure all odds are in line with the rest of the industry. Meaning there will be a varying of bookmakers’ opinions to take advantage of. But even without these type of major incidents plenty of arb opportunities still arise. The very nature of live betting means odds will change every few minutes, and some live traders will alter prices faster than others (and sometimes these changes are automated and don’t take into account what’s happening on the field). So with so many different traders and game variables coming into play, in a fast moving environment, it is inevitable that abs will become available. Multiple opportunities in the same event – While watching the match, or other sporting event, there is no reason for you to just arb the once. If a games odds are fluctuating sufficiently enough it makes sense to get involves as much as possible. A smaller chance of being caught – Unlike pre-event odds, which generally have a stable market and historical odds changes documented across many bookies. Live events are somewhat more hectic, giving the live trader or risk team member less time to dedicate to a single bet. Also with many seasoned arbers playing it safe and sticking to pre-event arbs there are less flags to give you away. By far the greatest risk is the same reason there is a load more arbs, consistently changing prices. In order to stop court siders (people at the live event betting with the purpose of beating the televised delay) bookies all have a bet acceptance delay, normally between 6 and 10 seconds. If the live trader has changed his odds before your excepted you’ll normal be asked to agree to the new odds. Which might now make your arb a losing trade instead of a winning one. This is under cons as it brings a lot of uncertainty, but it may work in your favour as often as it works against you. If a major incident occurs while you only have one side of your arbitrage on then all markets will be suspended and reopened with new odds that reflex what happened. This new set of odds could mean you green out with a great profit, but it could also leave you in a position where you have to except losing a big portion of you stake or letting the bet run until the end of the match. A trick often used by arbers to stay under the risk managements radar is to combine arbs in multiples. This would normally be done with a selection that has odds of 1.01. Obviously this is best done with a bookmaker that offers 1.01 shots that give a little bit of value. Because most bookies only offer odds with two decimal places you’ll often find something that should be odds of 1.007 rounded up to 1.01. It is normally best to do this kind of double when the 1.01 shot is the later event. As most of the time you will be able lay off that portion of the bet. Many arbers that use this method normally step away from arbing completely here as they have taken value on both selections and believe in the long run the odds are now in their favour. I could write a whole book on this subject and still only cover the basics, the tricks and tactics are many. But for someone moving on from pre-event arbing, trading is normally done in one of the following ways. A good percentage of people will move on to a system called Lay the draw, in which you look to trade the draw price in-play. Others offer back and lay bets across the spread (see below image for an example). And the last trading method abers normally move onto is trading dropping odds late in a game. For example, if a football match is 2-0 and it’s the 85th minute, wait for a calm periods (many substitutions are done in this period and play acting injuries), as soon as you see one of these about to happen, back the under 2.5 odds hoping it will have fallen enough by the resume of play to be able to trade out. Remember here you will be up against some seriously skilled punters; they will be using their knowledge of weight of money, spoofing and automated software to name a few to gain an advantage. Keep stakes small here until you are comfortable at what you are doing. This is a spin on the basic arbitrage bet. Bookmakers might look like they have a massive selection of different football bets, but most market are calculated using goal expectance and team supremacy. Making many markets closely related, all you have to do is think outside the box to see these relations. A few of the more obvious ones are “No Goal scorer” and “Over 0.5 Goals”, Double chance “Team 1 and Draw” and match result “Team 2”. Predicting moves based on Asian price moves. You can give this a try, watch for moves on a site like SBO Bet and as soon as it happens watch have a look at both the exchange odds and bookmakers’ odds. It doesn’t happen fast, but within 10-30 minutes both will fall in to line with them. Now if you have the time to continually scan Asian bookie prices (or are skilled enough to make automated software) these price move make excellent arb (or trade) opportunities. More on Cross market arbitrage betting. Secondly, bookmakers may reduce you betting limits if you are found to be arbing, they will not inform you of this (if they decide to close your account you’ll normally be told) so if you try get the second portion of your arb on, you might find you’re only aloud a small percentage of the amount you need to completely green out. And even if you aren’t identified as an arbitrageur, a bookmaker might not be overly confident in the odds that they offer, so cut the amount anyone can bet on it. Again leaving you in the awkward position of deciding how to deal with your liability. With the small profits made with each arb, one will either have to find many opportunities a day or punt a large amount of money on each arb (which will not go unnoticed with the bookies). Giving you the choice of either spending countless hours in finding bets that mean the requirements or excepting you’ll only get a few bets on before being limited. One of the rarely talked about issues when it comes to arbitrage betting is punter error. We all make mistakes, and with a faster moving math’s based betting system this only increases the chances of mistakes. And one mistake has the potential to wipe out the profit gained from hundreds of successful arbs. For the majority of people reading this the main question is “Does arbitrage betting work and is it worth pursuing?” Well it’s a question that’s not that simple to answer. I’d say it is defiantly worth giving the bonus arbing a try. If simply to open accounts with all the major bookies and to grow your betting bank with minimum risk. But is Arbitrage for the long term and something that will get you out of your day job? I don’t think so. As bookies are getting more sophisticated in spotting arbitrage opportunities and arbers this is a practice that will have a short shelf life. If you want to become a professional gambler you’ll need more strings to your bow that just arbing. But it will give a newbie a good grounding for moving forward to more advanced methods of punting. Learning about book percentages, price movement and managing risk will come in handy in a variety of other betting systems and practices.